Everyone needs to moisturize their skin. My skin tends to dry out during my beauty routine so I am always welcome to try something out that will help. I hate when you get done with your routine and then you look into the mirror and you see scaly flaky patches where your skin is peeling off. 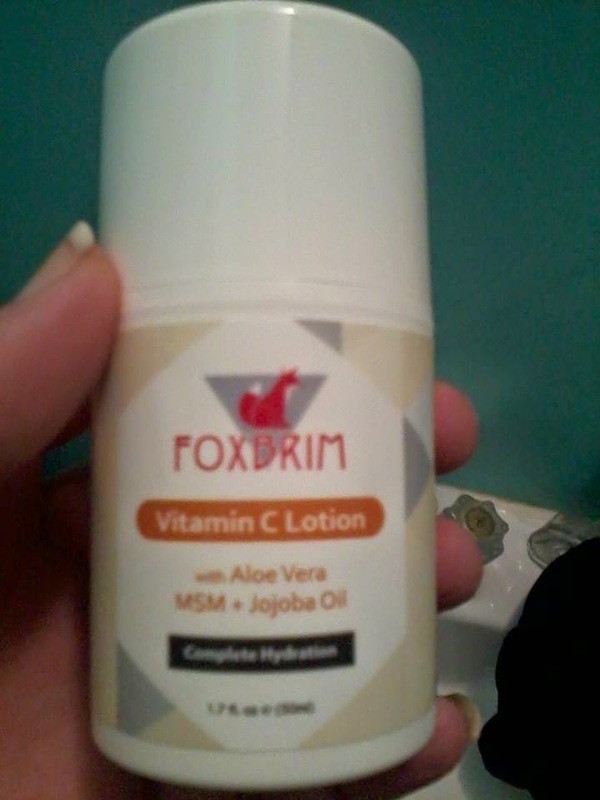 Foxbrim Vitamin C lotion, is like I said, another step in your beauty routine. First you wash your face, apply a refresher toner, serum and then this moisturizer to round out the routine. Using this right before applying your make up, will keep your face from drying out underneath the make up and will keep your skin looking soft and smooth. This product includes Vitamin C, Aloe Vera and Jojoba Oil. Like all of the Foxbrim products, it is all natural and provides total hydration. 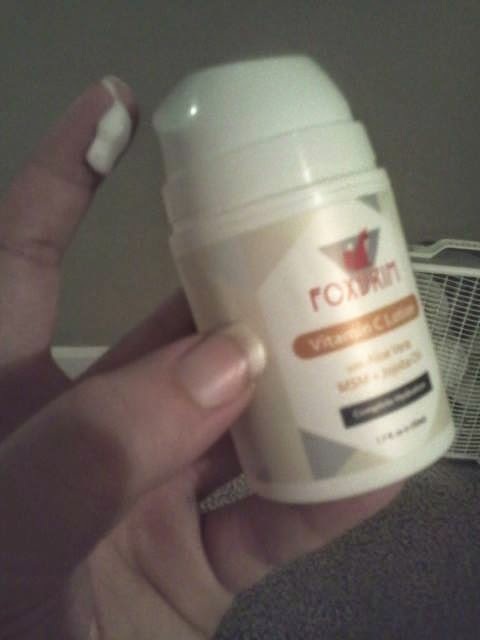 It is really simple to use, just pop the top, apply a dime sized amount to your finger and then put dots on your face and neck and then rub in the lotion. This can be used day or night, with or without the beauty routine you have come to know and love. It can also be used anywhere else you need moisturized. 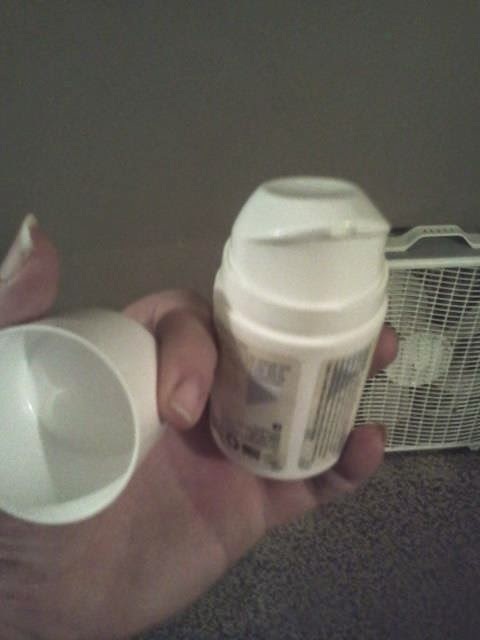 I like how easy this is to use, As with all of the Foxbrim products, the container is easy to open and easy to get the lotion out. The colors are the usual light pastel-ish, not too bright, so they don't take away from what the product is about. The directions are tiny as always but you can't forget how to put on lotion so you shouldn't need them after the first application. I love how it is all natural so it doesn't break me out with harsh chemicals. My only issue with this product, is the fact that it doesn't smell the greatest. I can't place the smell to tell you exactly what it smells like. It's not a overwhelming make you sick kind of smell but it is enough for you to notice. Luckily the smell only stays with you for a short amount of time. It does work pretty well though, my skin is soft to the touch for awhile after I put it on. If you would like to find out more about this product, then head on over to Amazon by clicking here. Like I always say, it's usually a good thing to get more then one opinion about a product that you are looking to buy.